This week we focused on data. What is data journalism and what does it have to do with sensor journalism? Joe Yerardi showing the students basic Excel functions. Well, data journalism can be defined as the act of using data (in any form it may be in – from numbers to images to text) and how that data can help in the storytelling process on a specific subject for a particular community. Sensor journalism can be considered the act in which sensors are used as part of the news gathering and reporting process for a specific kind of story that requires a sensor to gather and report data. Such data can include but is not limited to information collected about water, air, temperature, wind and soil. So in many ways these two areas are intertwined. Sensors collect information from the environment and that information can be transferred into data points that can later be read in aggregate, cleaned, and analyzed. So, for our air quality project, we are looking at the data from our deployed sensors and reviewing other air quality datasets to better understand what is in the air in San Diego and in turn, tell stories about air quality in San Diego. 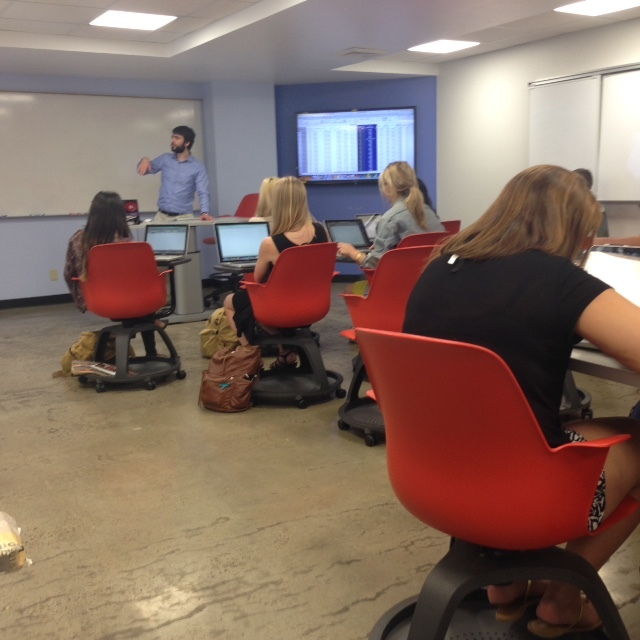 To help us delve deeper into this we had another visit from Data Guru Joe Yerardi of inewsource who helped the students to understand the basics of Excel spreadsheets and how data can be read from spreadsheets. A dataset we are working with as part of our air quality project is data we acquired from the California Communities Environmental Health Screening Tool: CalEnviroScreen Version 2.0 Report that was published last year. The dataset includes information on the pollution burden in California by census tract. The dataset includes all kinds of data about pollutants – ranging from toxic substances to PM2.5 as well as demographic information organized by census tract. 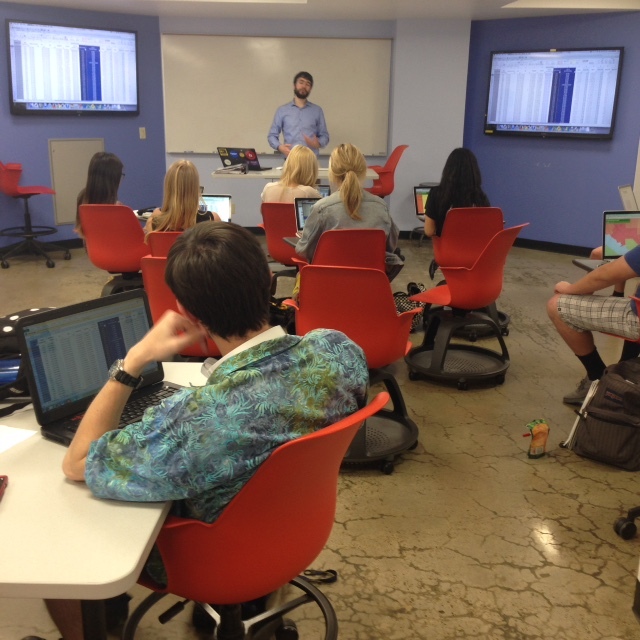 So, Joe took the students through some basic functions and features of the dataset (e.g. how to filter, how to organize, how to average, how to subtotal the data). Of course, one must have a skeptical eye when reviewing any dataset and make sure to review the dataset carefully for outliers, missing information and mistakes in data entry as part of the cleaning process before any analysis begins! In the upcoming weeks we will be delving deeper into this dataset so stay tuned! On Wednesday, Kevin Robinson gave us a deeper look into ARCGIS Online and we explored how to add layers to a map as well as how to add data from a csv file to a map.